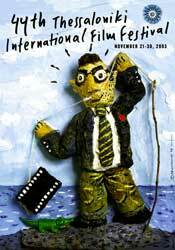 The Official Programme of theThessaloniki International Film Festival presents the work of film directors from around the world in order to contribute to their promotion in the Greek market. In this context, the selection of the films is always a difficult and time-consuming procedure that is usually ends up to organizing a diverse and most interesting compilation of movies. Thus, the Official Programme of the 44th Thessaloniki International Film Festival stands out for its element of the unorthodoxe. It focuses mainly on the images of reality conceived by young people and touches issues of communication in the modern times by emphasizing on the female role (seven out of the fourteen films of the IC tell stories of women, while four of them are directed by women as well).